Experience a "Taste of Red Mountain" in Woodinville at the Col Solare Bottega - our tasting room and wine shop located within Chateau Ste. Michelle. Enjoy a flight of our Bordeaux-style blend while learning about our partnership, our wines and our Red Mountain AVA estate vineyard. Appointments are strongly recommended and offered daily from 10AM-4PM. Please call (425)415-3330 to reserve your spot. Col Solare is a partnership between Chateau Ste. Michelle and Tuscany's Marchesi Antinori. From its inaugural 1995 vintage, Col Solare's mission has been to unite these two unique viticultural and winemaking cultures to produce a world-class Cabernet Sauvignon-based red wine. Experience wines from our Red Mountain Estate in Woodinville at the Col Solare Bottega tasting room and wine shop, located within Chateau Ste. Michelle. 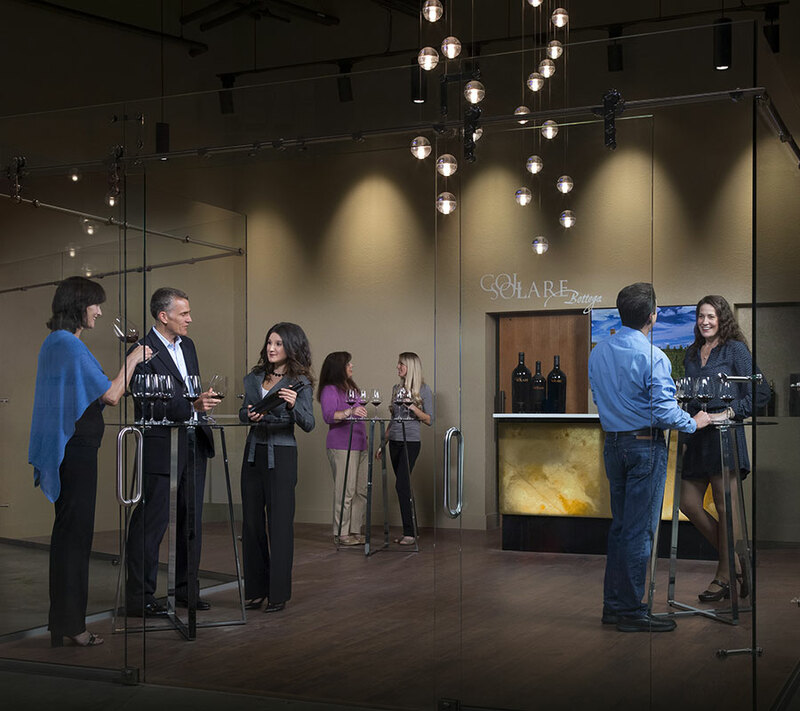 During each 45-minute appointment, guests will learn about the past, present, and future of Col Solare and enjoy various tastings of our estate wines. Appointments are offered 10am - 4pm, seven days a week, and can be made by calling 425-415-3330. Due to the intimate nature of this experience, only guests ages 21 and over will be permitted in the Bottega. For parties of ten or more, a credit card is required to hold the reservation.